Dandelion is a garden weed and a useful herb. It is a potent diuretic agent and a common ingredient of weight loss supplements and plans. How useful is this herb? Is the diuretic effect of dandelion significant enough to help you lose weight? Read on to find out. Dandelion is a flowering plant belonging to the Taraxacum species. Although dandelion is considered a weed in most gardens, it is wholly edible and also a noteworthy herb in traditional medicine. Even though dandelion is native to North America, Europe and Asia, it is also now commonly found in every part of the world. Although a garden weed, most gardeners encourage the growth of dandelion. This is because it is an excellent companion plant that has multiple benefits. Some of these benefits include bringing up needed nutrients to the top layers of the soil for plants with shallow roots to use; attracting pollinating insects with its bright flowers; adding other nutrients especially nitrogen to the soil; and releasing ethylene gas to hasten the ripening of fruits. Dandelion has traditionally been used to make different drinks including wine and caffeine-free coffee. It is also a key ingredient of root beer. Dandelion is rich in nutrients. It is a good source of all the vitamins except vitamin D. It also contains sodium, calcium, potassium, magnesium, manganese, phosphorus, iron and zinc. Dandelion also contains proteins as well as carbohydrates. Of its carbohydrate content, only a little is taken up by sugars and the bulk by dietary fiber. This high dietary fiber content contributes to the laxative and detoxifying properties of dandelion. Besides the nutrients found in dandelion, there are also phytochemicals that are responsible for most of the medicinal effects of the herb. Some of these phytochemicals are taraxacin (taraxinic acid), taraxasterol, beta sitosterol, caffeic acid, pectin, inulin and alkaloids. For example, the taraxinic acid found in dandelion leaves are responsible the diuretic property of the herb as well as some of detoxifying effects. Other potential medicinal benefits of dandelion include laxative, appetite stimulant, digestive aid, immunostimulant and cholagogue (stimulate bile secretion). Most of these effects are only studied in animal models and human studies are still pending. However, the diuretic effect of dandelion is well studied in humans. By increasing the volume and frequency of urination, dandelion is often used to shed water weight and also to reduce blood pressure. This is the most common use of dandelion in traditional medicine. As a diuretic, dandelion extract spares potassium (because it contains potassium, it increases the body’s store of the mineral). This is beneficial because it increases the amount of potassium in the body over sodium. However, when dandelion is combined with potassium-sparing diuretics, it may precipitate hyperkalemia (high potassium levels). Dandelion extracts made from the plant roots is also used as laxative. The laxative effect of dandelion is gentle and it can be used to improve digestion. In addition, dandelion extract can also improve liver and gallbladder functions. Preliminary studies indicate that dandelion extracts may also improve the body’s lipid profile by reducing the levels of total cholesterol and triglycerides in the body while increasing the level of HDL (high density lipoprotein) or “good” cholesterol. The effect of dandelion extract on the lipid profile is believed to be due to its phytosterol content. Phytosterols block the accumulation of cholesterol in the body. Furthermore, the results of some animal studies indicate that dandelion extracts can help normalize blood sugar levels and act as an anti-inflammatory agent. 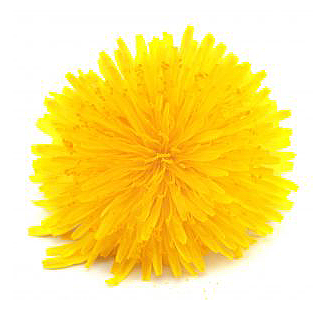 Both dandelion flower and root extracts also contain lecithin, an excellent liver detoxifier. However, more importantly, lecithin is an excellent source of choline which can be converted to acetylcholine in the body. Therefore, it is possible that dandelion extracts may improve mental focus, learning and memory. The claims of dandelion extract to weight loss involve mostly its diuretic effect. Some also claim its actions as a digestive aid and detoxifier may also contribute to this. Dandelion extract as a weight loss herb is widely promoted among bodybuilders who want to shed some water weight. The diuretic properties of dandelion is already proven and well-studied too. One such study was published in 2009 in The Journal of Alternative and Complementary Medicine. This pilot study used a leaf extract of dandelion and involved 17 volunteers. Before giving these volunteers the dandelion extract, the researchers first established the volunteers’ baseline fluid intake and urine volumes. They were then given 8 ml of the dandelion extract 3 times daily for one day and then monitored for another 24 hours. The results showed that the dandelion extract increased the frequency of urination and the volume of urine. Even though dandelion extract promotes diuresis and can help shed some water weight, it is doubtful it can cause weight loss in most overweight people. Granted it can produce dramatic weight loss results in edema patients, most cases of obesity is caused by fat accumulation in the body. Therefore, since dandelion extract does not increase fat metabolism or thermogenesis, its weight loss claims are not very strong. This does not mean that dandelion extract does not have some weight loss potential. It means that its weight loss effect is most likely not strong, and that the herb should not be taken as the only supplement to lose weight. Still, there are many weight loss supplements that include dandelion extract. This is because it can make some contribution to weight loss. 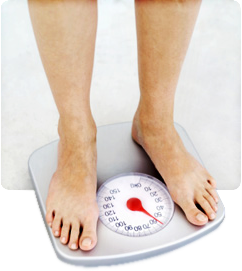 It may not affect stored fat in the body but what it does (promoting diuresis) can lead to the loss of some body weight. Dandelion can be combined with other dietary supplements or sold alone. It is available in different dosage forms including as tea, tincture, liquid extract, capsule and tablet. Dandelion is also sold as dried leaves, leaf juice and dried roots. The dose depends on the form in which the herb is supplied. Although dandelion is a safe food for children, you should consult your doctor before giving it to a child as a supplement.